Closet (available at Dorothy Perkins) often does dresses that suit me; cool prints, flattering style and just so pretty! I’ve got my eye currently on two of their print dresses and I’m very tempted to get them. 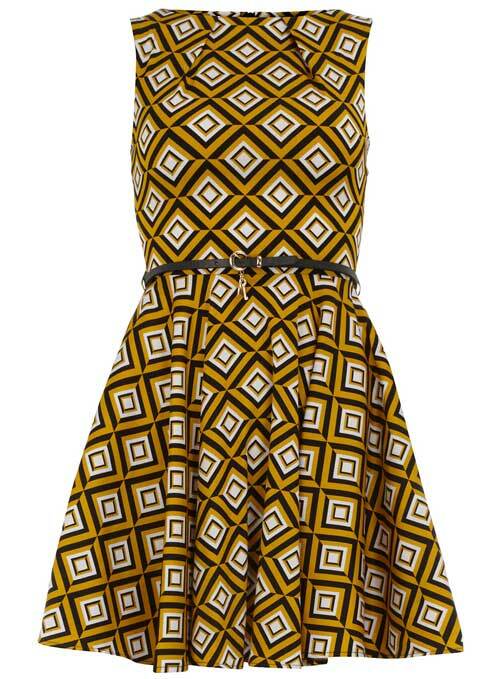 The first is a mustard geometric print dress (£52 on the Dorothy Perkins site). It’s such a cool colour combination plus the print is awesome! 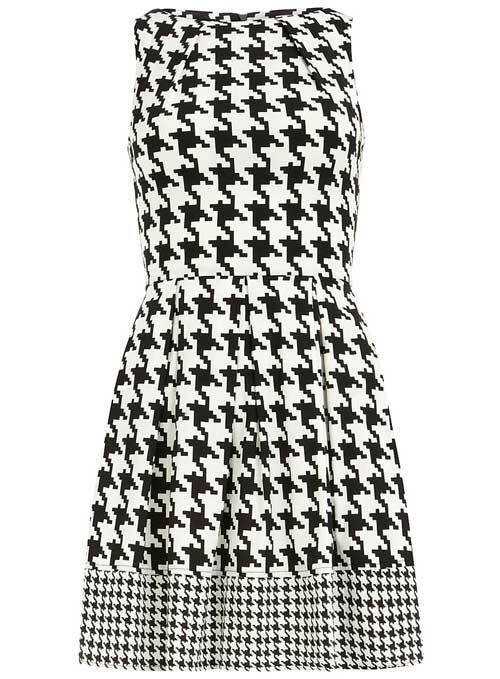 The second is a black and white dogtooth print (£48 on Dorothy Perkins). I really like the contrast print on the bottom, it really makes the dress more interesting.